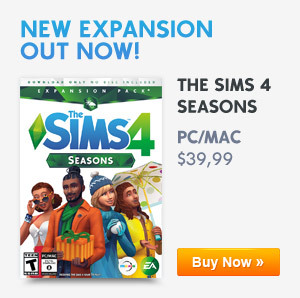 Geodes can only be collected when you have The Sims 4 Get to Work expansion pack. 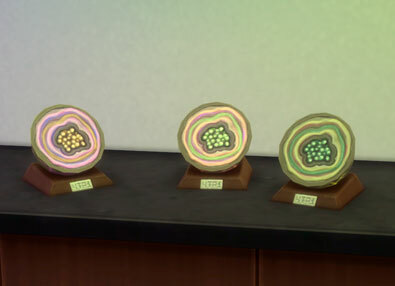 They are beautiful minerals that shows a pulsating glow when placed on your Sims lot. There are a total of 6 Geodes to collect in Sixam and all with a different color. Geodes can give your Sim a Focused moodlet when studied. Unpolished Geodes can be used in the cloning machine when your Sims chose the Scientist Career. First you need to find Unpolished Geodes. These can be found in Sixam, the Alien world. Use the Wormhole Generator in the Science Lab or a Rocket Ship to get your Sim into Sixam. When your Sim has arrived you need to find rocks that have a orb on top of it (Geode Hollow) to find the Unpolished Geodes. If you found a Unpolished Geode you can polish it into one of the 6 Geodes. This is random and it may take a few times to get the right one to complete your collection. You can find Unpolished Geodes in these rocks on the Alien World. You can also unlock all the Geodes with the Buy Debug mode cheat (adds extra objects) found on the Cheat Code page. Place a lot of Unpolished Geodes in the world and polish them to normal Geodes.